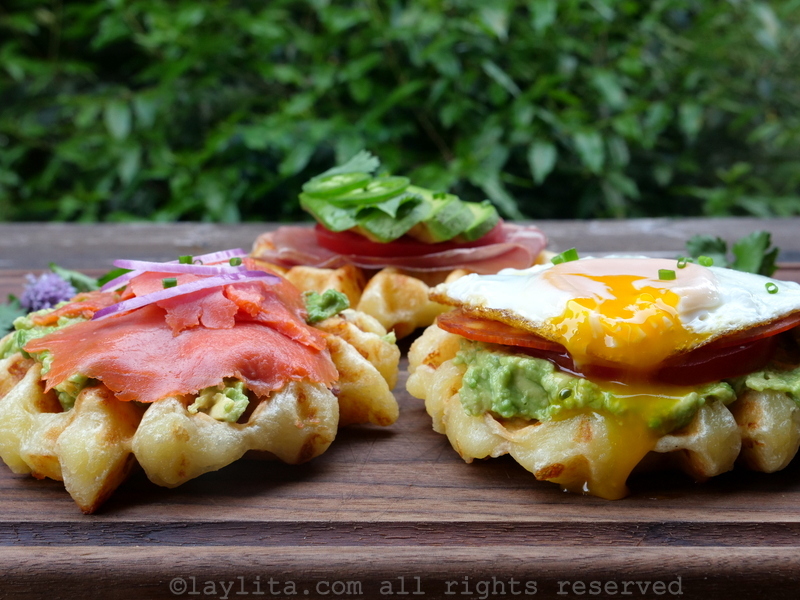 These savory cassava cheese bread waffles are a new favorite in our house. 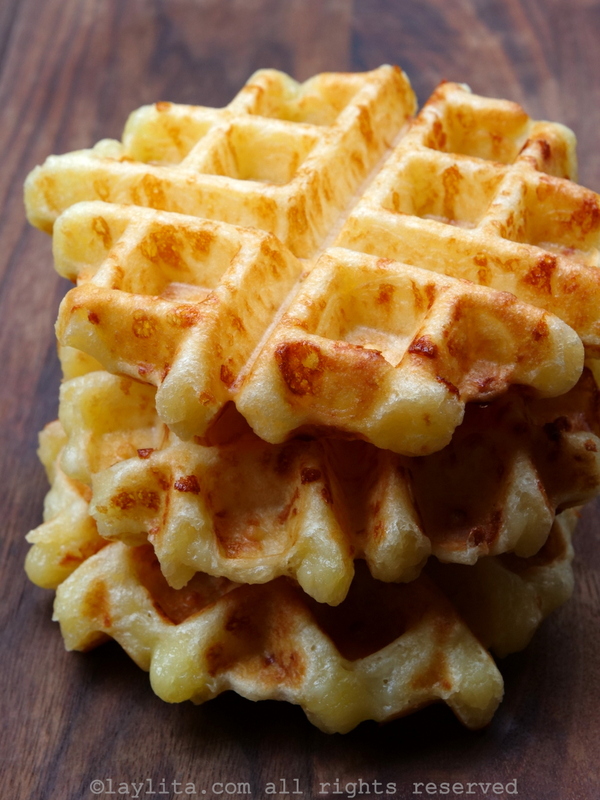 These addictive waffles are made with cheese (mozzarella or a mix of mozzarella and queso fresco), tapioca flour or starch (which is basically the same thing that we call cassava or yuca flour/starch in Latin America), eggs, and butter. I would say that they’re inspired by the classic Ecuadorian yuca bread or pan de almidon, but they’re more of an exact copy of the irresistible yuca breads. I basically had some extra yuca dough, formed it into patties, and put in the waffle maker. 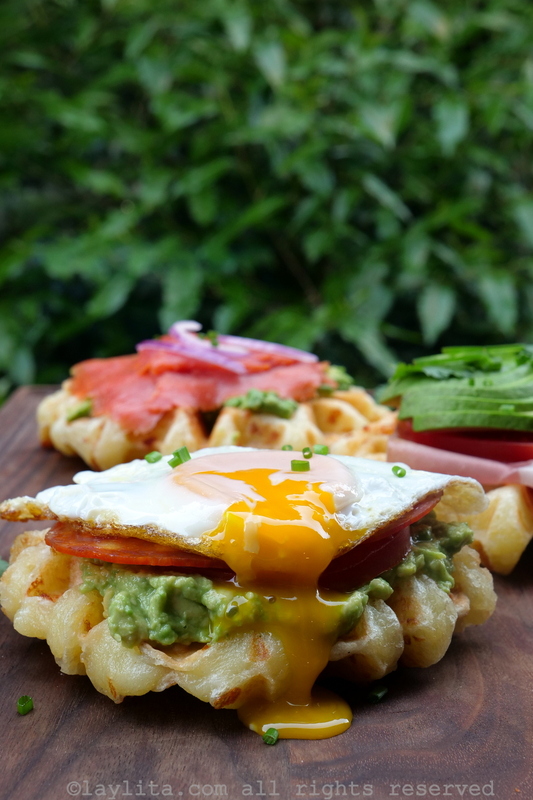 The cheese bread “pan de yuca” waffles are perfect topped with mashed avocado or avocado slices, tomato slices, fried or poached eggs. You can also add your choice of smoked salmon, chorizo, prosciutto, ham, bacon, etc. 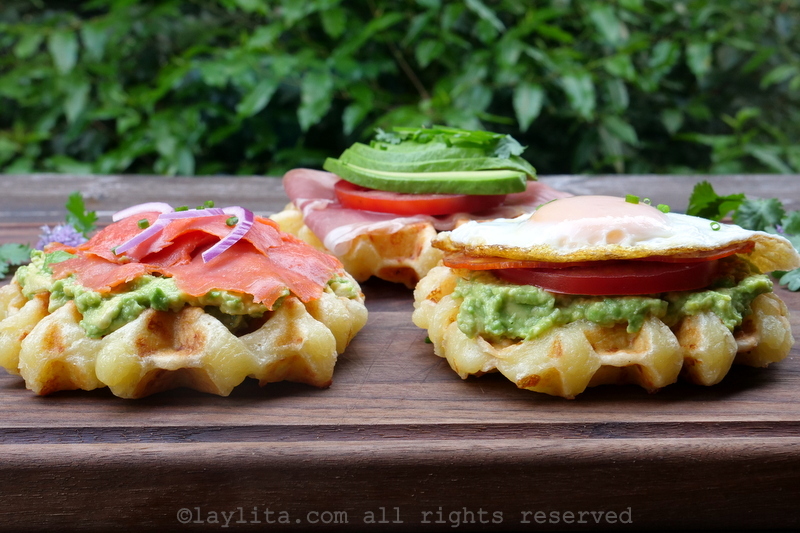 These waffles are ideal for a mix and match breakfast or brunch. They will also work with sweet toppings, but I would recommend sweet toppings that mix well with cheese. A classic combination would be with dulce de guayaba or guava jam/paste. I used a round Belgian style waffle maker, but any type of waffle maker will work. 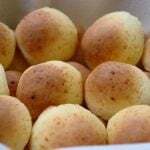 I form the yuca cheese bread dough into round patties, but the dough is very flexible and can be shaped as you wish. Another alternative is to shape them thinner and cook them on a griddle or frying pan. An indoor electric grill, similar to a panini grill, would also work. These cassava or tapioca cheesy waffles are great for breakfast, but can also be served as a snack or as an appetizer. 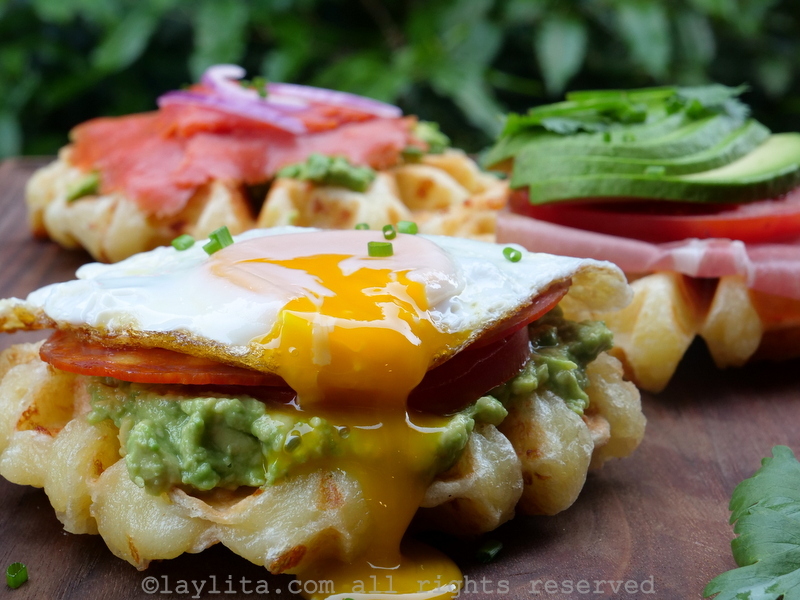 Recipe for savory cassava cheese bread waffles, made with cheese, cassava or tapioca flour, eggs, and butter. 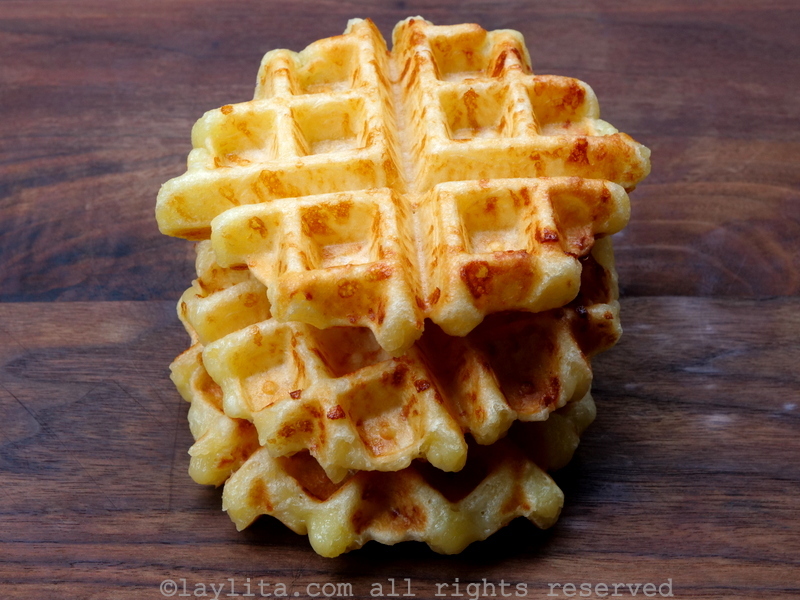 These cheesy waffles are made using the dough for Ecuadorian yuca bread or pan de yuca. Place the cheese, tapioca flour, salt, softened butter, eggs, and ¼ cup of water in a large mixing bowl. Use your hands to mix the ingredients until you have a smooth dough. Add additional water, a tablespoon or two at a time if the dough feels dry. You can also make the dough in the food processor. Add the dry ingredients first, mix, and then add the wet ingredients, and mix until you have a clumpy dough. Form the dough into medium to large patties. You can make these in advance and refrigerate until ready to make the waffles. Heat the waffle maker as you usually would for regular waffles. Place the cheese bread patty on the center for a round waffle maker, close the waffle maker, and let it cook until crispy. Usually about 5 minutes. Open it gently when checking for doneness. 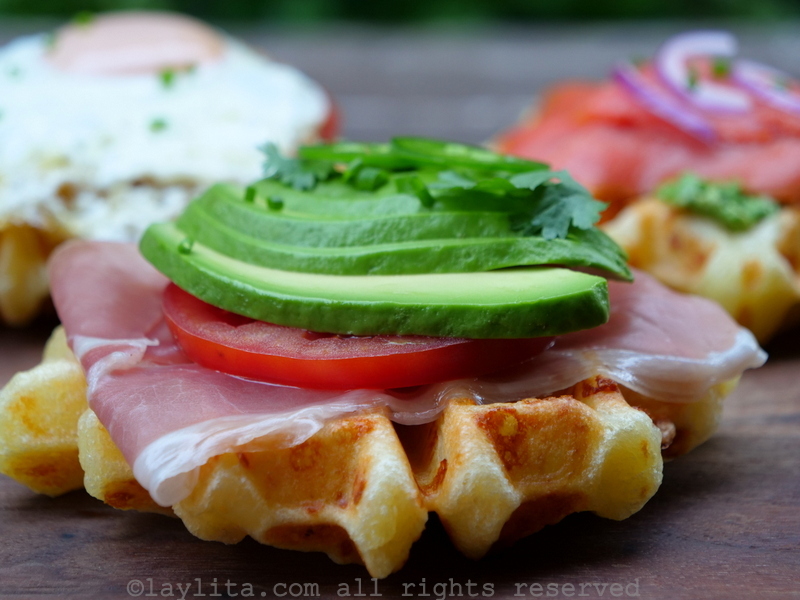 Remove the waffle(s), top with your preferred toppings and serve immediately. I KNEW there had to be more you could do with the basic dough/recipe for cheese bread!!! I just haven’t had time to experiment! Thank you so much for this! I can’t wait to try it. I made almond flour pancakes last night and added cheese, bacon and green onions to some of the batter…I said I’d like to tweak this recipe and add more cassava flour, less almond flour. 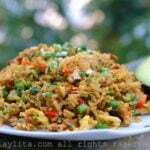 Partially for the cost, partly to increase the resistant starch. We love waffles, so this will be great!